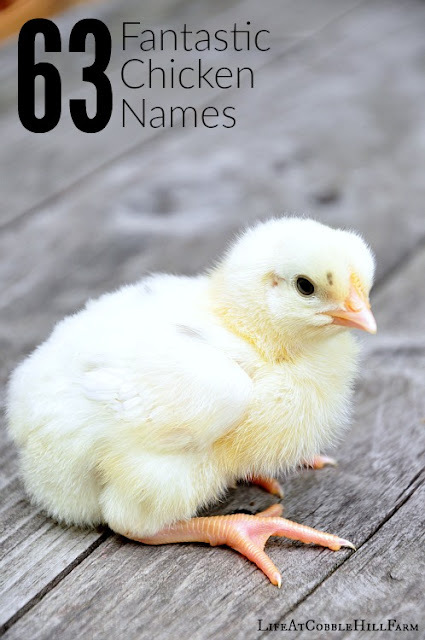 As we get ready to add another dozen layer hens to the coop in Spring, it's time to think of more chicken names! When naming their flock some prefer egg dish names such as omelet, frittata, souffle and such while others prefer knock-offs of celebrity names such as Audrey Hen-burn and Lindsay Lo-hen. I prefer old-fashioned names, for the most part, for our ladies although we've have also named them after friends and family members as a tribute too. What about you? 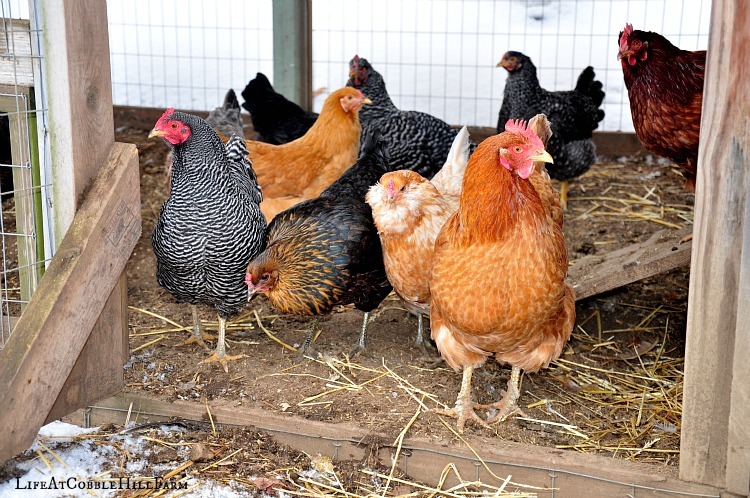 What are some of your favorite names for your flock? We have Excavator, Bommy knocker, and Archyoptrix amongst our flock. Named by a 3 year old who loved machines and a 6 year old who loved dinosaurs. I love the old-school names too! 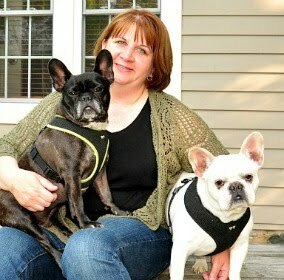 Those are the ones I am drawn toward. Sweet pea, Toes (her toes curled as a chick) Pheonix, Cricket, Hawk, and Cuddlebug are the exotic names. The rest are my "vintage girls" with old fashioned names like Gertrude and Winnifred. I have Tyrell, my feather-footed Light Brahma. My son thought she was a HE and said the feet were ghetto fabulous! My first incubated girl is "Nugget", as in "This is my Chicken Nugget". Ha ha. After this week, I fear we will be calling the ladies icicle, snowball, frozen, etc! 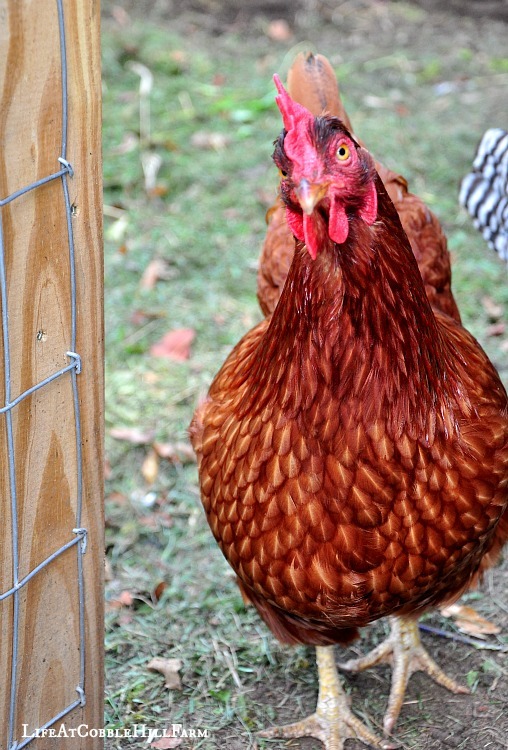 But, the names of some of my most memorable hens are Annie, Cocoa, Harriet, Sandy, and Georgette. We have Arlette, Huguette, Lucienne and Solange. French names ! We just got some chicks and so far we've named one. Her name is Beyonce, don't ask why because I don't have an answer.